The installation of a 12” water main along Ridge Road from Sabbath Hill? Madam Speaker, construction works on a new pump station at Long Trench began approximately one week ago. It is expected to be completed within two months. Madam Speaker, a purchase order for the electrical upgrade has been issued, the project team is now awaiting the completion of works by BVIEC. Madam Speaker, the Ministry has secured quotations from three suppliers of HDPE lines and is in the process of completing a request to obtain Cabinet Decision to proceed with the procurement of these lines. 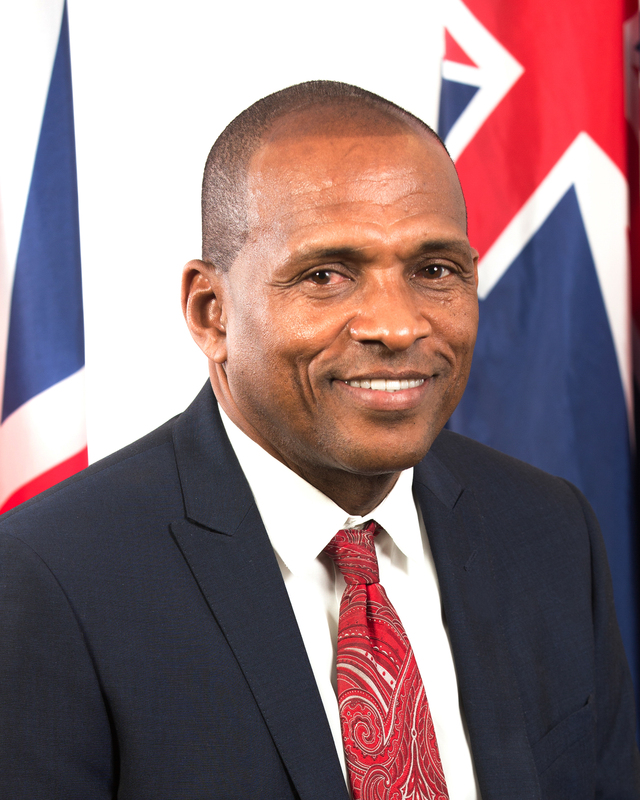 Madam Speaker, could the Honourable Minister for Communications and Works please tell this Honourable House whether the 8” water main installed in 2015 from Meyers to Chalwell intended to bring water to the Hannah Hill Reservoir is still not connected to the system. Madam Speaker, NO! The 8” water main line has not been commissioned. It is intended to be a part of a dedicated transmission line from Sabbath Hill to Hannah Hill, Sea Cow’s Bay. The present 6’ line will continue to distribute water between Sabbath Hill and Chalwell. Madam Speaker, could the Honourable Minister for Communications and Works please tell this Honourable House whether. The Bar Bay Water Plant is operational? If the answer to a) is no, why not? If the answer is yes, when did operation start? Madam Speaker, the Bar Bay water plant is in operation. Madam Speaker, by virtue of my response to question 1 then question #2 is not applicable. Madam Speaker, the Bar Bay water plant came back online within a week of the passage of hurricane Irma. With extensive damages to the Hodge’s Creek reservoir the plant was taken offline to allow for some repairs. Madam Speaker, the water plant was brought back online this week pumping directly into the distribution system via a bypass at the Hodge’s Creek Reservoir. The BiWater Plant at Paraquita Bay is operating at full capacity? What are the areas being services by the plant. Madam Speaker, I am not certain what is the full operational capacity of the SevenSeas Water Plant at Paraquita Bay, therefore I am not in a position to state if it is operating at full capacity or not. However, Madam Speaker, in answer to B, during the last quarter, Government has been receiving water from the SevenSeas Water Plant at an average of 2.5 million gals of water per day. Madam Speaker, the following areas receive water from the SevenSeas Water production plant at Paraquita Bay; Sabbath Hill, Belle Vue, East End, Long Look, Road Town, Manchester, Huntums Ghut, Lower Estate, MacNamara, Sea Cows Bay, Chalwell Estate, Brandywine Bay, Baugher’s Bay and those areas in between the areas mentioned. The Biwater Sewage Treatment Plant at Burt Point is operating? If the answer is yes, when did it come back on line? Madam Speaker, No! The Sewage Treatment Plant at Burt Point is currently not operational. Madam Speaker, the Sewage Treatment Plant suffered significant electrical and other component damages as a result of hurricanes Irma and Maria. The Government engaged Biwater to revisit the plant and to provide a full analysis of the damages sustained and the necessities for repair. We await their report. Madam Speaker, by virtue of my response to part (b) just stated this question is not applicable.